What better way to entertain your family and friends than having hilarious cartoon portraits created before their eyes? 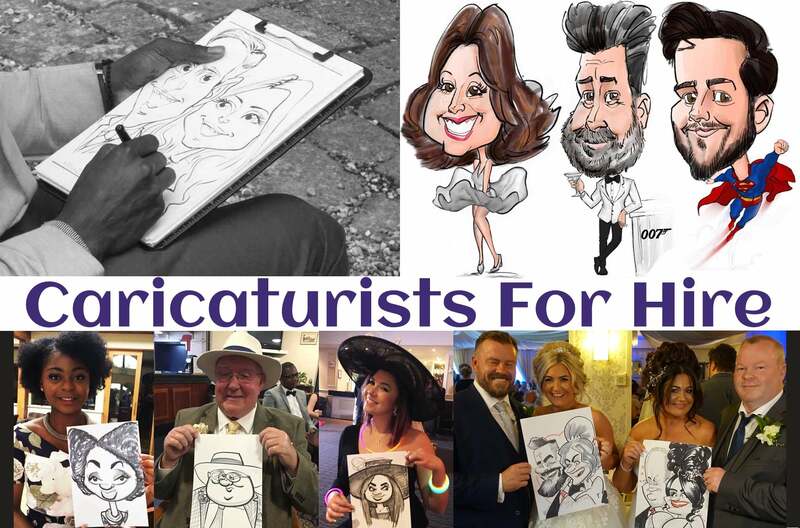 Hiring a caricaturist for your party provides a fun and exciting form of entertainment that will make everyone laugh out loud! 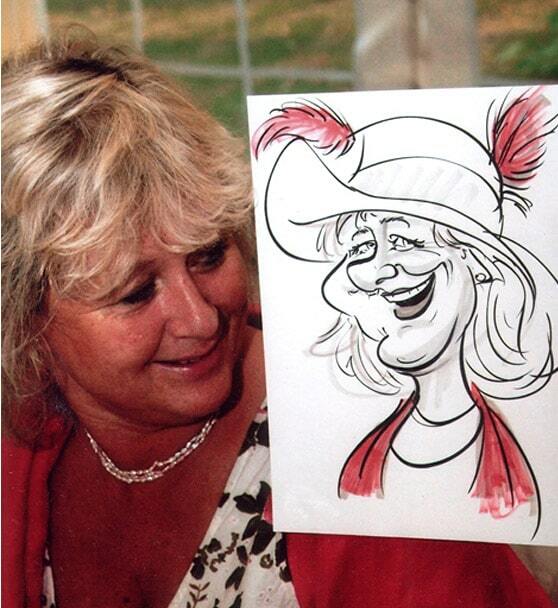 The Caricatures provide a brilliant talking point at events and for a long time afterwards! 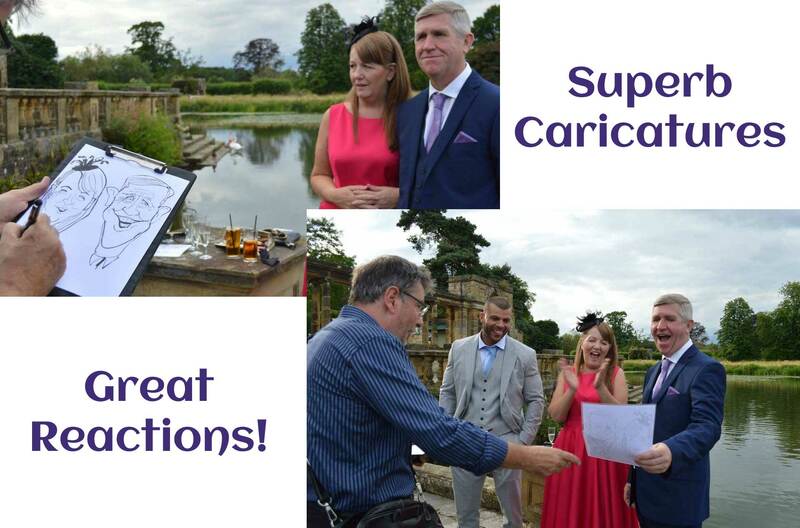 We always get great feedback from our clients about our wonderful caricaturists. We receive these testimonials either by email, letter or live on our Facebook page. 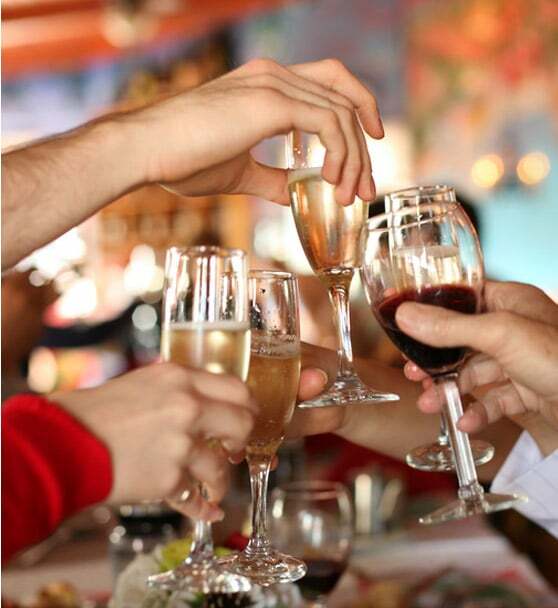 » Mix and mingle caricatures during arrival drinks. » Caricatures drawn at tables, in between the courses of a meal. » After the meal, before the evening disco or band gets into full swing. » Mix and mingle / table caricatures as part of the evening entertainment – perfect for the “non dancers”. » At trade show stands to attract attention of passers by. 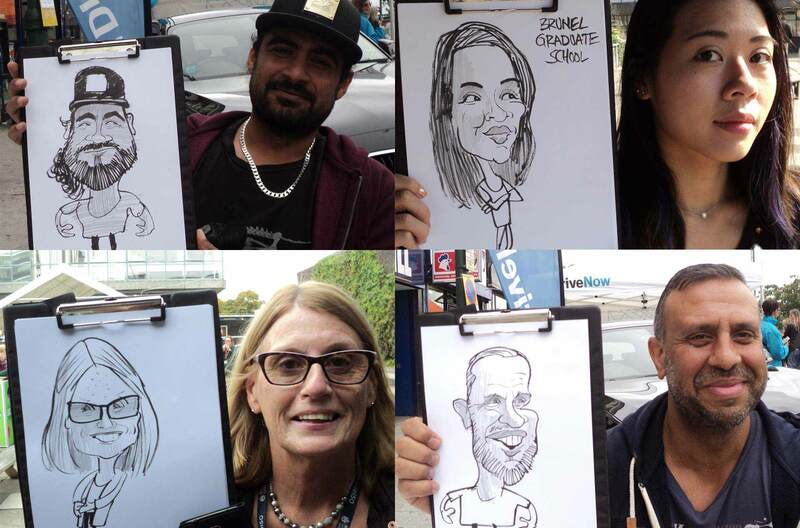 As our team of expert caricaturists are extremely flexible, they are happy to adapt to your specific requirements for your event and can print the paper with a message / logo to make it personal to your specific event. 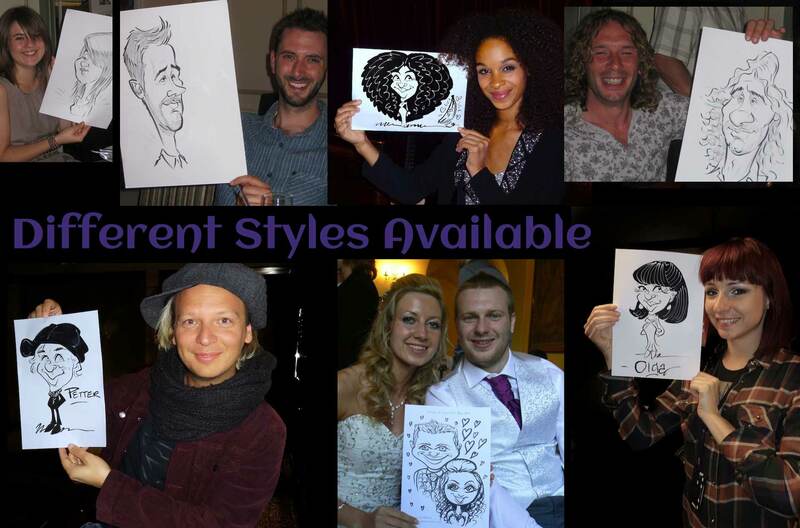 Caricaturists draw quick “on the spot” caricatures live at your party, wedding or corporate event. Around 12 – 15 people can be drawn on average depending on the individual and the event conditions. For smaller events, colour can sometimes be added. The artists can either mix and mingle or sit in one area and a queue will form. 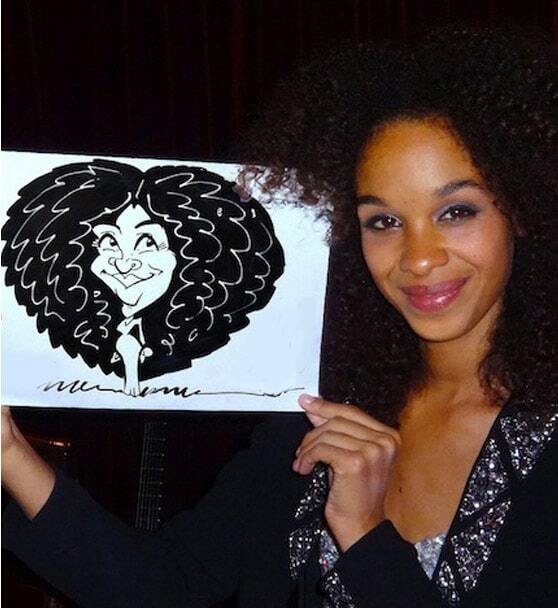 Each caricature is given away FREE OF CHARGE to your guests. 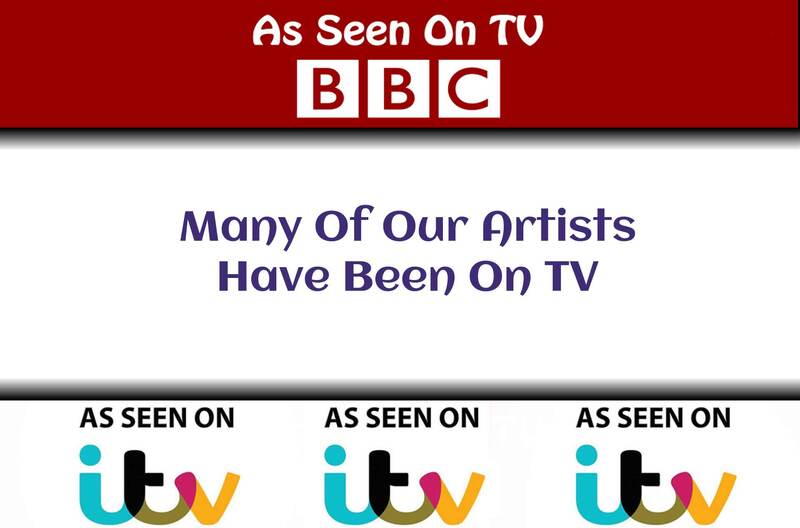 All of our artists are friendly, personable characters, they are extremely reliable and very talented! Which Events Do Caricaturists Attend? » Birthday Parties for all ages. » Trade Shows And Exhibitions. » Dinners / Dinner Dances. » University Balls, Summer Balls etc. » Bar Mitzvahs And Bat Mitzvahs. » Business Lunch Or Lunches. » Christmas (Xmas) Parties And Events. Looking for something totally unique – why not hire one of our Digital / iPad caricaturists. 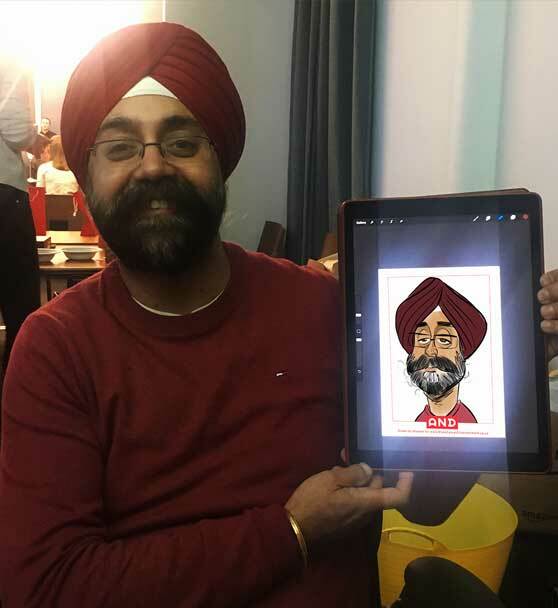 Digital caricatures are hand drawn on the spot using an iPad or tablet and can be projected onto a bigger screen for a larger audience to see. At trade shows, the caricatures can be emailed to stand visitors , collecting useful email addresses from potential leads and clients in the process. 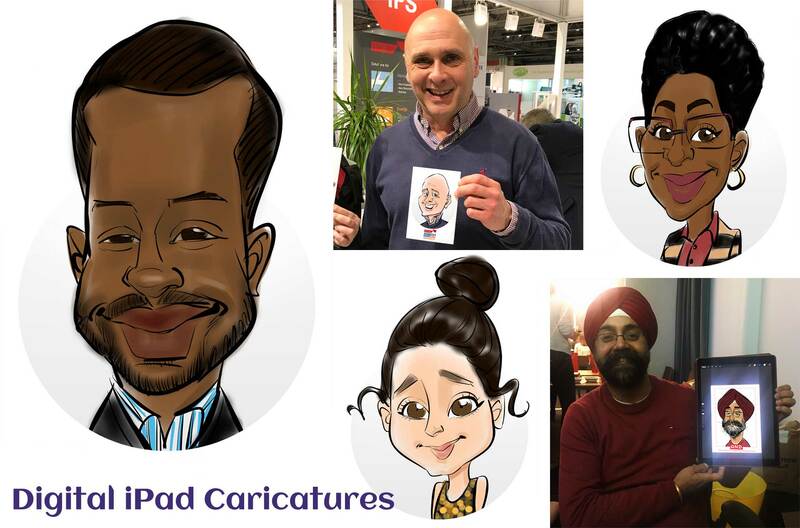 The iPad caricatures can also be instantly printed at the event. This relatively new, novel and exciting way to draw caricatures is always a huge hit at parties, weddings and corporate events. Do you have Caricaturists for Hire Near Me? You bet! 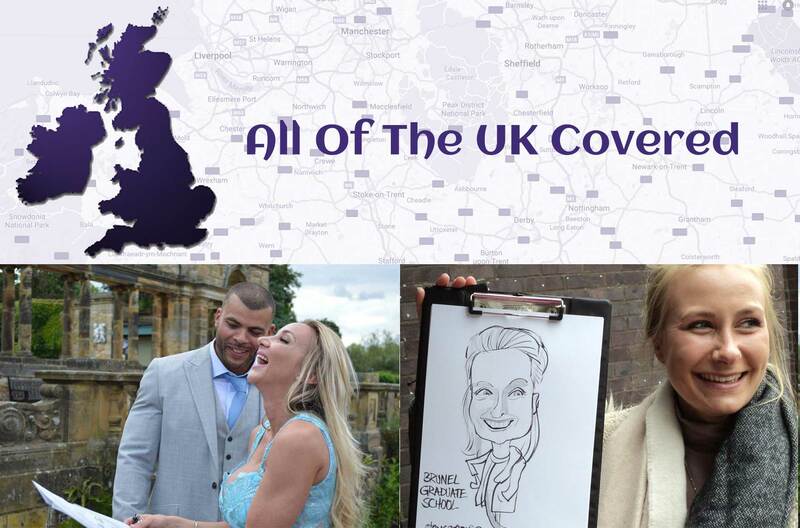 We always use local Caricature Artists to keep expenses to a minimum so that you get top class, yet affordable entertainment you can rely on.